Ever wondered how to make a Dominican quesadilla? Easy! All this for only $10.99! … Take that, New York Times quesadilla! 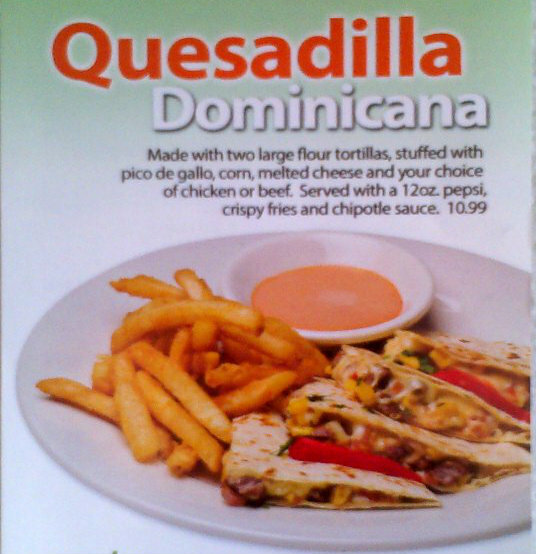 This entry was posted in Food and tagged Dominican quesadilla. Bookmark the permalink.